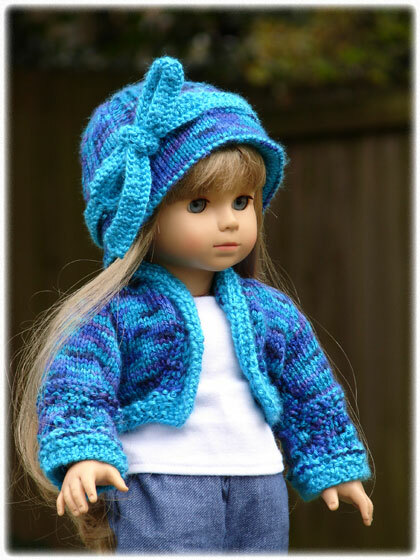 Here is "Kimana III", modeled by the lovely Gotz Little Sisters Lily. Click HERE to see the auction. 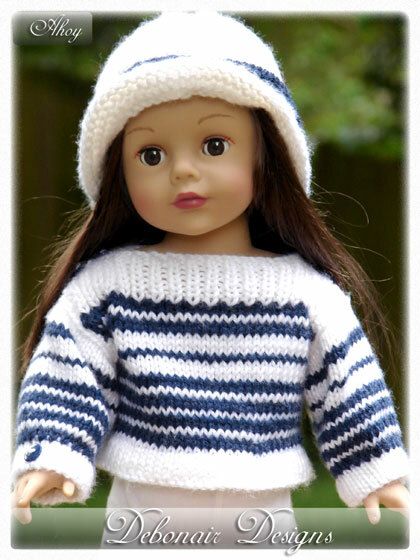 Next, we have "Ahoy", modeled by Deb's beautiful Alexander Girlz doll, Hayley. You can view the auction HERE. And finally, we have "Jardin", once again modeled by Hayley. Click HERE to view the auction. Hey guys! This week has ended up being really crazy...sorry for the lack of posts. 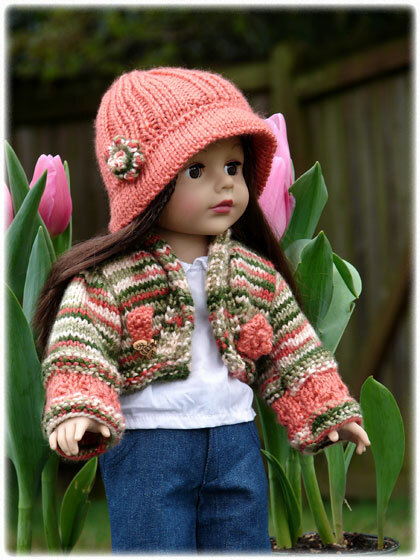 Thanks to The Doll Wardrobe and Phoebe for awarding me with the Versatile Blogger award. :D I hope to get that post up soon, along with the others that I've had waiting on the back burner. Okay, so here's the deal. I procrastinated a long time on my second Bollywood Reviews post. (Duh!) And unfortunately, I haven't had Netflix, my major source for watching Bollywood movies, for about 6 months now. I went back to work on my second Bollywood Reviews post and realized that it had just been too long for me to remember everything about the movies. I didn't feel right reviewing them when it had been that long since I'd seen them. I didn't want to leave everyone hanging, though. So instead, I came up with an alternative: the post you're reading now. Another quick note: I tried to find as many of these with English subtitles as I could, but for some of the songs it just wasn't possible. So for those songs without subtitles, I'll try to give you a brief idea of what they're saying. Oops...and one more thing: some of these songs feature bare midriffs, and Bollywood dances involve a lot of hip action. Just wanted to issue a warning for those of you who are offended by that. This film stars Shahid Kapoor and Kareena Kapoor. While I didn't care for the film on the whole (it was a bit too over-the-top on the humor for me...plus I have a hard time enjoying films where the main character lies throughout the entire thing, even if they come clean in the end), I really love this song. I think it does a great job of capturing the sweetness and innocence of young love. An interesting bit of trivia, here: this is one of the common fantasy sequence songs often found in Bollywood films, and incidentally the only song in which Kareena "sings" (although her voice is provided by a playback singer). In the rest of the movie, she is mute. Oh, and the guy at the end of the song is her brother, not a love interest. I can't remember why he looks so upset...it's been a while since I watched it! P.S. Use caution if you do a YouTube search for "Chup Chup Ke". Apparently there was another movie with this title that was a lot more sensual. This movie starred Aishwarya Rai (I still haven't figured out how to pronounce her first name!) and Martin Henderson in the title roles. Also featured in this video are Naveen Andrews, Namrata Shirodkar, and Indira Varma. I don't know if this film would be considered strictly Bollywood, since it was made in Hollywood, but it definitely has the feel of a Bollywood film (it was made by the same people who did "Bend it Like Beckham", which I never saw). It's been a while since I've seen this one...I know there was some innuendo and at least one very sensual song. As a Jane Austen fan, though, I really enjoyed seeing a Bollywood take on Pride and Prejudice. The differences in culture worked really well for the well-known story line. In this song, Balraj (Mr. Bingley...the guy wearing black), William Darcy (Mr. Darcy), and Balraj's sister Kiran (Miss Bingley) are at a wedding in India. This is the moment when Balraj and Jaya (Jane...on the balcony in the pink) see each other for the first time. And Lalita (Lizzy) is the one in orange and pink. Another Shahid movie! :D I must admit, while I really enjoy Shahrukh's work, Shahid is quickly becoming my next favorite. This guy can dance! His leading lady this time around is Sonam Kapoor. I can't really say much about this movie, because even though I watched it, I wasn't able to watch it with subtitles...so I had no clue what they were saying! I will say that there were some really fun moments, but the climactic scene at the end was a little too hard to believe, in my opinion. Shahid and Kareena again. This movie was had some really fun parts, but also had some swearing and innuendo that I did not appreciate. Oh, and the song during the end credits was really sensual. This one is still my all-time favorite Bollywood movie, and probably will be forever. :D Shahrukh Khan and Preity Zinta play the main characters. This song takes place early in the film, and is basically Veer (Shahrukh) introducing his country to Zaara (Preity), who is from Pakistan. This is another Shahrukh one (What can I say? He's my favorite!). Deepika Padukone plays the lovely Bollywood actress Shantipriya, as well as a modern character, Sandy. I've already explained this movie in detail in my first Bollywood Reviews post, so I won't say more here. This song happens towards the beginning of the movie (in the 70s sequence...which you could probably tell from the clothing! ), when Om gets to see Shantipriya on the red carpet. This is one of my husband's favorite Bollywood films (and coincidentally, another film I reviewed in my first review post). Rab Ne Bana Di Jodi stars Shahrukh and Anushka Sharma in her film debut. 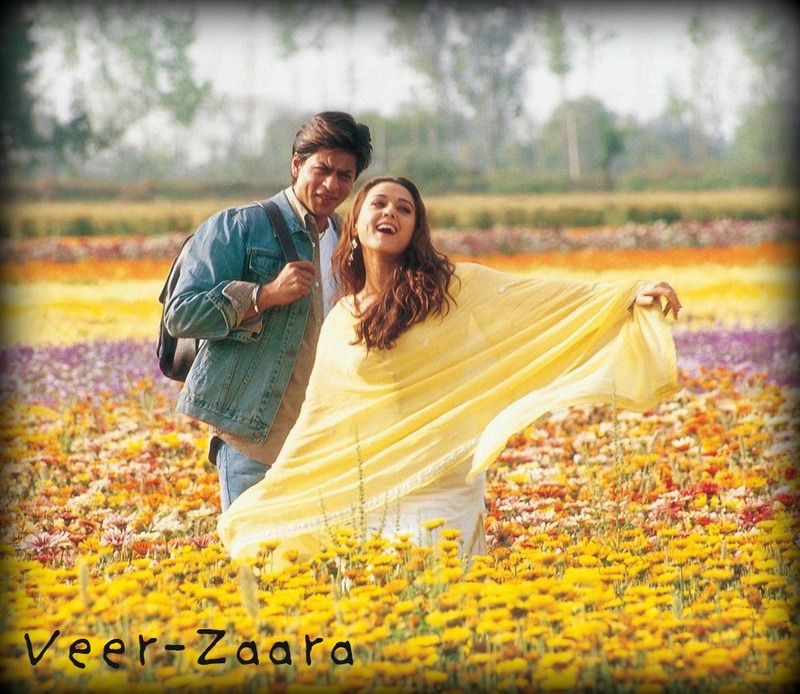 I love how cute Suri (Shahrukh) is in this song (cute as in "Aww...", not "Wow!"). He's supposed to be kind of nerdy in this movie, by the way. He wants nothing more than to win the love of his beautiful young wife. I love how fun and lighthearted this song is. :) As I explained in the earlier post, the basic idea of this song is: "My wedding is coming up and I'm super excited." ;) Oh, and Shahid's character Prem is so excited that he keeps thinking he sees his fiance on the plane when she's not really there. Well, that's it! I hope it wasn't too annoying having to click all of the links. :} Which songs were your favorites? 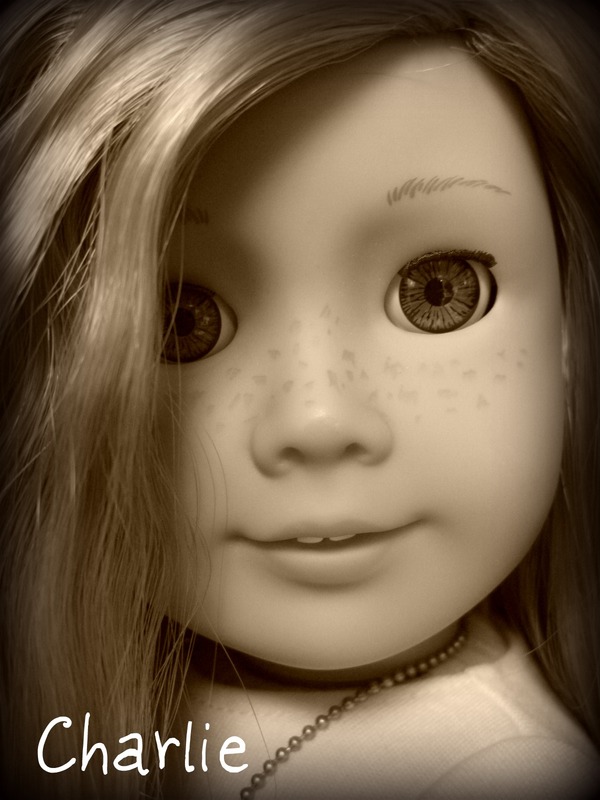 As many of you know, my Charlie doll (formerly known as Mia St. Claire) had a pretty serious eye problem when I bought her on eBay. Her right eye was broken and could not close properly (see pic below). Thankfully, Charlie's eye was able to stay open when I fixed it manually. She could never close her eyes correctly, though, and I had to be really careful about where I took her. I didn't want anything getting stuck inside her eye socket and damaging the eye further. Okay, I'd like to start out by saying that last week was really crazy. I started Weight Watchers on the 14th, which has been going pretty well overall (today was my first weigh in and I lost 3 pounds!! ), but I've been in that stage where I'm just HUNGRY and I'm eating carrots and oranges like there's no tomorrow. Also, I perhaps procrastinated just a teensy bit and therefore had a lot of last minute cleanup to do the morning of the party before Little Gal's guests arrived. I'd also like to mention that my hubby was once again working another 11-15 hour Saturday after working a full week. So due to these factors (and also throwing in 3 children with sin natures to match their mother's), ;) I had a complete emotional breakdown on the morning of the party. Which of course resulted in the fact that I was NOT completely ready an hour before everyone arrived like last week's party. And while things were much better once everyone got there (it was mostly family, so not nearly as stressful), I was a bit out of it and not quite as on top of my game. For those of you who are wondering, there really is a point to all this. ;) Basically, I just wanted to explain why there weren't nearly as many nice pictures for this post as there were for Middle Gal's. :} But enough excuses from me...on to the pictures I did get! Here's a closer look at Cinderella. 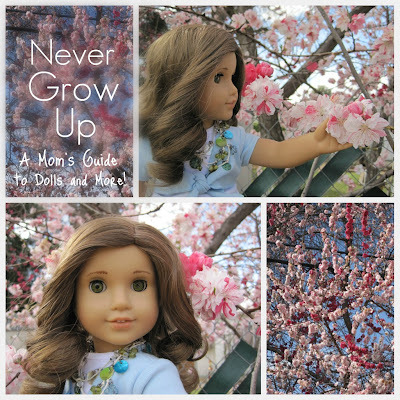 We used another Chelsea (FKA Kelly) doll to play the part. She is holding a Chihuahua, for those of you who are wondering. "Cinderella's" skirt was made of cake (the most AMAZING cake known to mankind...part cake crumbs and part frosting all mixed together! ), and then her actual dress was made of candy clay. Her black choker was a black hair band. Another look at Cinderella. The sleeves apparently gave my aunt fits. One of the sleeves refused to stay in place on her first few tries!! The pumpkins were gingerbread cookies covered with orange frosting. The grass surrounding the pumpkins and the coach were Hershey's Kisses (another birthday request) covered in frosting. The pond with the Happy Birthday message was made out of candy clay, just like Cinderella's dress. Candy clay was also used to hold the four candles in place (since we didn't want to stick them in Cinderella's skirt...that wouldn't have looked as nice!). My mom really outdid herself with Cinderella's coach. The coach itself was made of 3 gingerbread cookies of different sizes, stuck together with frosting. The wheels were also gingerbread. The blue of the coach and its door and top were made of candy clay. The white of the wheels was frosting, while the blue swirls were candy clay. Mom was hoping the coach would stay in place for the entire party! The cookies were attached to the "sky" (a board covered with blue cellophane) with several skewers. To help keep things in place, Mom propped up the front of the cake board (under Cinderella) to keep it at an angle. One last view of the whole thing. The party itself was a breeze. As I mentioned before, almost all of the guests were family, so I just got to relax and enjoy spending time with my loved ones as we celebrated Little Gal's 4 years of life. I felt bad about my hormonal meltdown before the party, but I suppose everyone is human. :} And thankfully, God is always ready to forgive my mistakes. Okay, on to the present. For about 2 years now, I've had a story slowly taking shape in my mind and on paper. 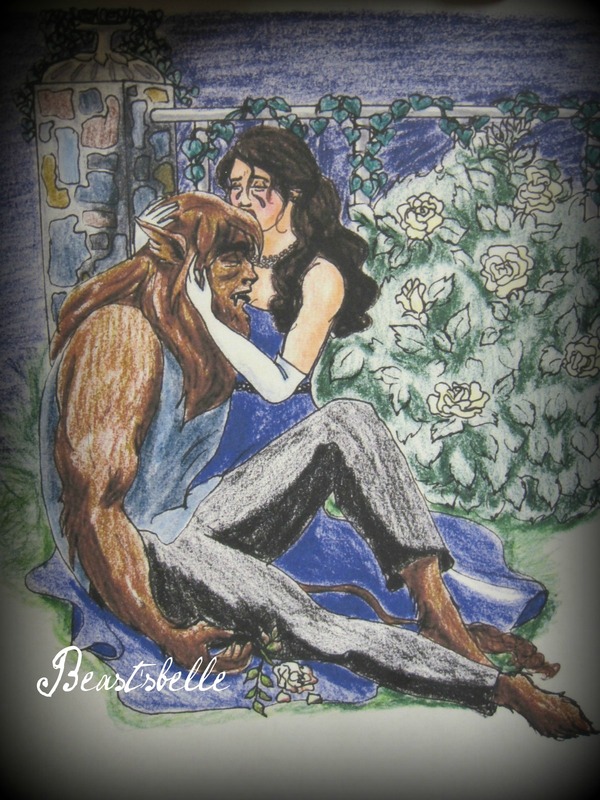 It's a story that I'd really like to finish, whether I end up publishing it professionally, trying the self-publishing route, or just making it available for my family and friends. I've talked about it a little bit here and there. The release of the "Once Upon a Time" TV series has been exciting and frustrating at the same time. On the one hand, it means there's definitely a market for the type of story that I'm writing. On the other hand, there are a few story concepts that the writers of "Once Upon a Time" came up with that have some similarities to mine, which makes my job a bit more difficult! The other day, I was feeling a bit discouraged. My stories (there will be 3 books) are still so far from completion. 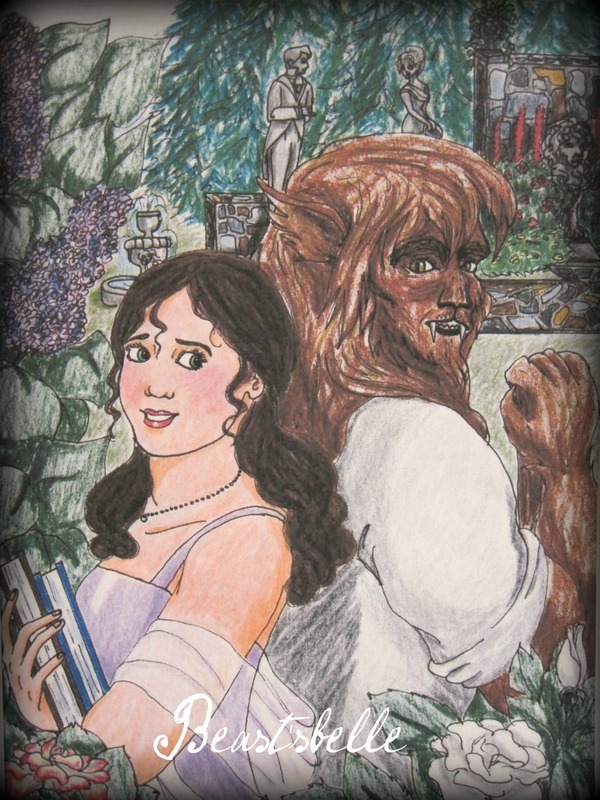 There are apparently two TV shows in production that are based on "Beauty and the Beast" (which is the main story my first book focuses on). And every week, little details here and there on "Once Upon a Time" make my story idea less and less unique. Then, yesterday, I buckled down and did some writing. I did some research on the location I've chosen for the setting (it's a real location), and once again, I was reminded of how real these characters are to me. I've known my 2 main characters for over 10 years, and I want so badly to share their story with everyone. Most importantly, the Lord really seemed to be directing me to write these. 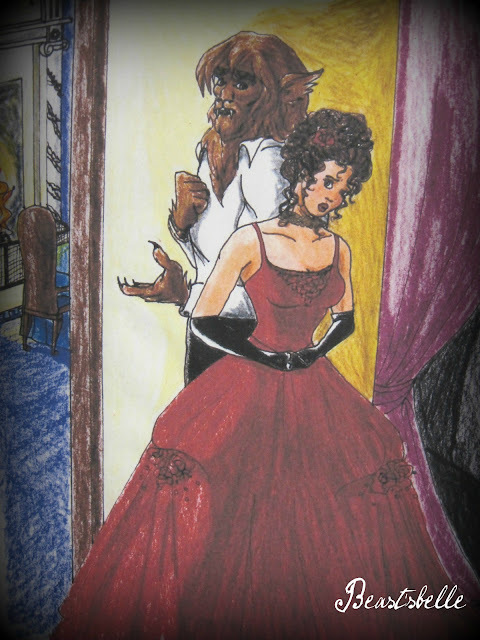 I would love to offer fairy tale stories with conservative morals and an uplifting message (which is often lacking in some of the current productions). I don't know what route I'll go, how successful they'll be, or if they'll ever see the inside of a publishing house. I just know I have to write them. This shouldn't affect my blogging too much (especially since I've been a bit sporadic lately), but I do plan on trying to schedule more writing time along with my blogging time. My goal is to finish my rough draft of my first book and start on the rough draft of the second book by the end of this year. I wanted to share this with all of you so that you can help keep me accountable. ;) I'll try to update you here and there on my progress. After weeks of postponement, we finally had Middle Gal's friend party today. :) It actually went amazingly well. I was completely ready an hour before the party's start time for probably the first time EVER!! Normally, I'm running around finishing all of the last-minute details minutes before the guests arrive! Anyway, the party itself was lovely. I go for a very low-key birthday party approach, especially for the 6 year old age range. No games or special activities. We have free time in the playroom until everyone arrives, we eat cake (or whatever dessert we're serving), we open presents, and then we have more free playtime. It usually works without a hitch and keeps me a lot less stressed (trying to organize anything involving glue, scissors, and a group of Kindergartners is an instant strain on my sanity!). "Snow White" is a friend of Barbie's little sister, Chelsea (formerly known as Kelly). I found this one in the Valentine's Day goodies at Target. I bought her specifically for her hair and eye color, and because she was wearing that perfect red Snow White bow in her hair! The kitty came with another Chelsea friend doll. 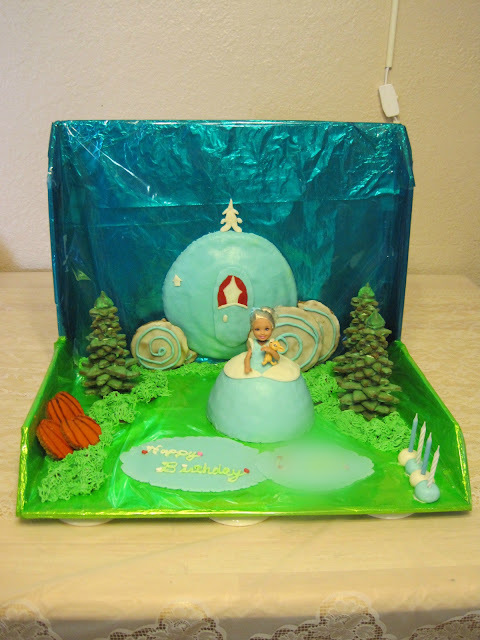 Her clothing is made out of candy clay (it has a similar look to fondant, but tastes better), and her skirt (underneath the clay) is made of cake. My mom and aunt wrapped the doll in plastic wrap before decorating her to protect her from the cake and frosting. They cooked the cake in a small bowl to make it the right shape, and then cut a hole in the center so there would be a place for the doll's legs. A closer look at the bushes. They also used the candy clay to make letters on the cake board. Middle Gal loved her cake and cookies! The tablecloth was sent to us from my mom's cousin (the one who sends us so many hand-me-down goodies). There were several leftovers from her daughter's Snow White party, which was such a blessing! The tablecloth was still in it's packaging! The plates and napkins were from Dollar Tree. And speaking of Dollar Tree, almost all of the goodies for the goody bags were Dollar Tree specials! ;) The bags themselves came in a package of around 25. Each bag had a sheet of stickers (cut from a large $1 sticker pad-Dollar Tree), a princess spinning top (4 for $1-Dollar Tree), a princess mini notepad (4 for $1-Dollar Tree), two Snow White crayons (only one pictured...$1 for a box of princess crayons-Michael's...I bought 4 boxes), and a necklace and ring (all courtesy of my cousin...she's given us tons of play jewelry over the years and I've had it set aside). Final Round of the Doll Wardrobe's Photo Contest!